#15What a clever contraption, isn’t it? The Walt Disney World Monorail System is always one of my favorite rides. Zipping along at 40mph with it’s wonderful smells and views takes you to vacation mode. In case you haven’t already memorized those wonderful monorail lines that take you to your happy place, here they are: Red, Coral, Orange, Gold, Yellow, Teal, Lime, Green, Blue, Silver, and Black. I love riding with the pilot! I was on a solo trip in 2008 and rode with the pilot and a father & daughter. The daughter took a shine to me and we had a very fun filled trip from the Magic Kingdom to Epcot. She was about 5 and she chatted up a storm for the whole trip, her dad looked at me and said ‘she is usually so shy’. When we got off the Monorail, she had to hug me and told me to have a really fun day. The best Disney moments are the small unexpected ones! 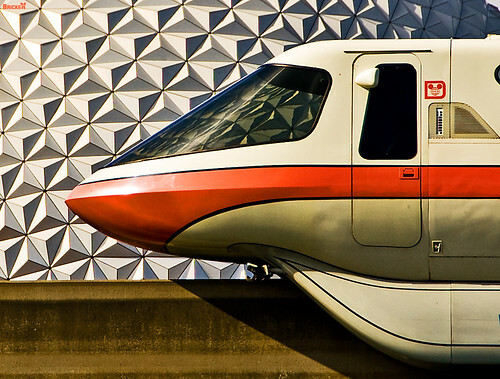 While I was a participant in the College Program, a friend and I sat up front in the monorail. The pilot realized we were CP’s and let me pilot the monorail from MK to the TTC. It was an awesome experience! Samt-Micke Dubois, Torsten Wahlund, Ulf Friberg, Stefan Persson, Eddie Axberg,Lotten Andersson, Kofi Bentsi-Enchill, Malin Bäckström, Sussie Eriksson, Erika Essen-Möller, Jocke Jennerfors, Fredrik Johansson, Jeanette Köhn, Anders Jalkeus, Lilling Palmeklint, Göran Rydh, Peter Torgner, Johan Schinkler, Kjell Segebrant, Monica Silverstrand, Katarina Wilczewski, Eva Axelsson, Michael Kleimert,Andreas Rothlin Svensson, Annica Smedius, Annika Barklund, Charlotte Ardai Jennefors, Daniel Sjöberg, Eva Röse, Fredrik Dolk, Fredrik Hiller, Fredrik Nordström, Filippa Alm Nylén, Ing-Marie Carlsson, Jamil Drissi, Jan Åström, Jesper Adefelt, Kristian Ståhlgren, Lars Dejert, Ole Ornered, Per Johansson, Peter Sjöquist, Steve Kratz, Tilda Järnblad, Vendela Palmgren, Vicki Benckert,Mflera!!! Yes, you guessed it right – more leads, more listings, more closed deals, and definitely more money for you. People have different views, but you can never know who to trust. the verification is still valid. as extremely effective towards excess fat within the physique.